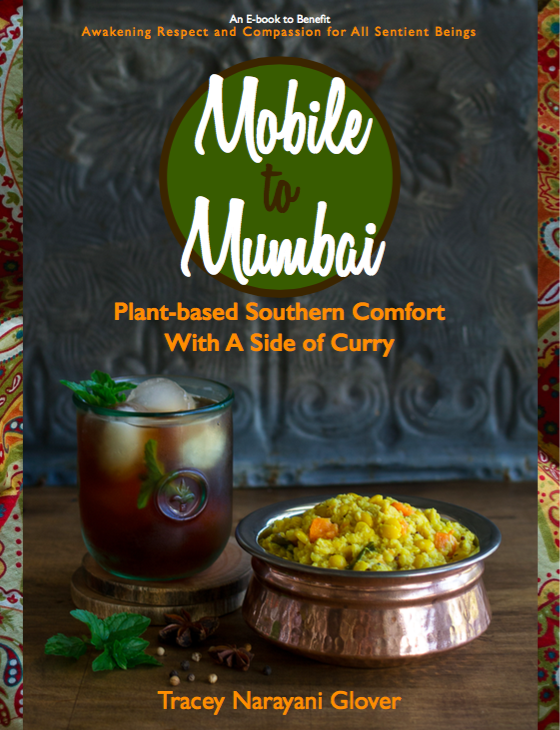 From the back cover: "From Creole to Curry, and a bunch of stops in between, Tracey Narayani Glover’s southern-tinged comfort foods and India-spiced recipes are delicious, easy to prepare (with no exotic ingredients), and are cruelty-free. Inside you’ll discover 25+ flavor-packed plant-based recipes that take your tastebuds on a culinary journey from the Deep South to the Silk Road. From classic dishes like Veggie Pot Pie, Cornbread, and Red Beans and Rice to slightly more adventurous dishes like Red Lentil & Sweet Potato Stew or Turmeric Roasted Cauliflower, these are foods that nourish the mind, body and soul." E-Cookbook to benefit ARC, $4.99 suggested donation.